Fossils are neglected in modern stone books but they are a potent union of the mineral and animal kingdoms. Metaphysical properties can be drawn both from their geology and biology and many were used for spiritual reasons historically. 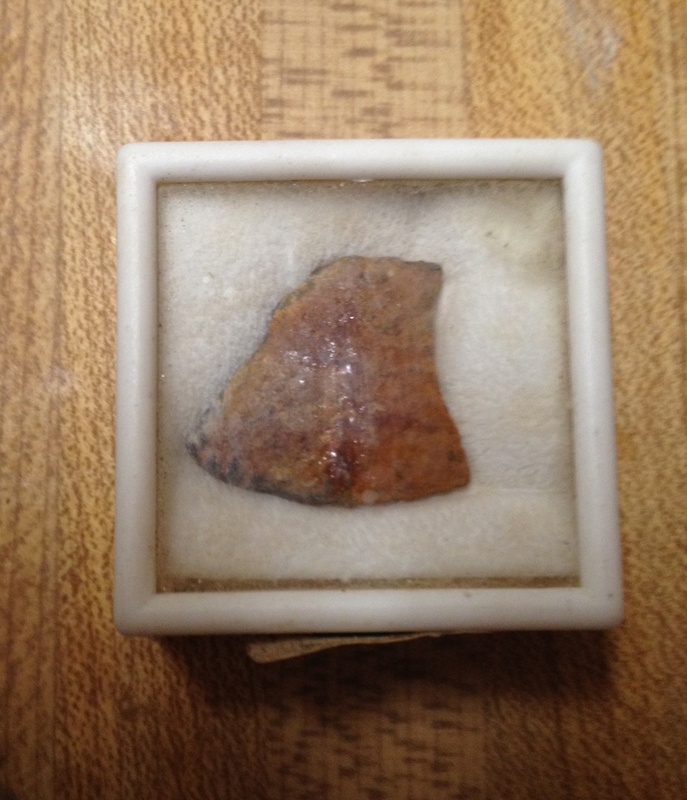 Petrified or Fossilized Dinosaur Bone increases energy and memory. It has ties with the deep past, and this makes it an excellent stone for past life work. Dinosaur bone is also wonderful for calming anxiety, in particular survival anxieties. It helps, too, with communication and ability to understand communications. Physically, dinosaur bone is used in healing for paralysis, broken bones, hearing, vigor, regulation of body temperature. Note that healing meanings are spiritual supports to healing and are not prescriptions or healthcare information. Dinosaur Bones are about our Root chakra. That chakra is about our family, our heritage, our genetics and yes, even going back so far there is no memory of ourselves. The Root Chakra is about the family patterns that have been branded into us the first eighteen years of our life. Are the patterns healthy? Or not? If not, then our Root Chakra has been compromised a little or a lot. The less a person feels like protecting themselves, the more it has been compromised. A healthy Root Chakra is about having a good sense of survival. And those who don’t, often end up giving their life blood energy away to another or to unhealthy situations until their health has been badly wounded. But the dinosaurs remember. Wearing their bones is a reminder that our roots go back to the dawn of time when this Earth supported these giants. This is more important than most people realize. What we come from, we are. Understanding our past is an opportunity not to make the same mistakes in the present or future. Most of all, Dinosaur Bones catalyze and are connected to our sense of survival. Women are less likely to have this button pushed and operational. Why? Because we have lived under a Patriarchal energy for the last five thousand years. All women are repressed and taught not to care about themselves, rather, to always care for others first. This isn’t a good balance for a woman and certainly harms the over all energy of the masculine integrating with the feminine on a higher, more symbolic level. If we are using only HALF of the energy that we are, then everyone suffers. That is why the Earth is so far out of balance today; it is running on only masculine energy. These bones remember survival. And it is transferred energetically to the water. A good sense of survival is absolutely essential. There is a time to take care of others, for sure. But not at the expense of your life blood energy. Dinosaur minerals help the person know where the healthy boundary is at so that they can survive and not be taken down by the care giving situation. At the other end of this spectrum are narcissistic people of both genders, who have come out of a hellish dysfunctional family background and survival is all they know. These people aren’t able to extend themselves out to help others at all. The first and only person they are going to take care of is themselves. They are inverted into their “me first” consciousness. By consuming Dinosaur minerals, this helps the person be able to first, see that others need help, too and that secondly, they can extend that hand of help to them. If the narcissistic individual never reaches this stage, they are always self-centered, selfish and unable to feel true compassion for anything or anyone else. So, are the dinosaur bones from this meat eater? 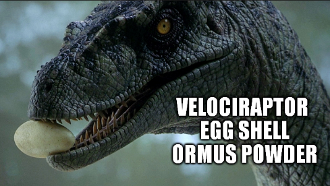 The Velociraptor? The energy around this guy is one of assertiveness. And yes, the primal need to survive is also there and that’s something we all need to have in order to not only survive down here, but thrive. Since it is a meat eater, then one’s sense of survival is going to be expressed strongly. This is good for those who have no boundaries or sense of self-survival. It would not be good for a narcissistic individual because they are already into their self-survival at the cost of everyone else. If the bones are from a gentle vegetarian Dinosaur, then the sense of survival will still be there, but less obvious in the consciousness of the person wearing them. They still absorb that sense of self protection, however. The only difference is that its not in your face energetically as it is with a meat eating dinosaur. Either way, you will have a healthy survival pattern when you drink the colloidal minerals of the dinosaurs that lived millions of years ago. This is the past coming to connect to the present and what a gift it is.